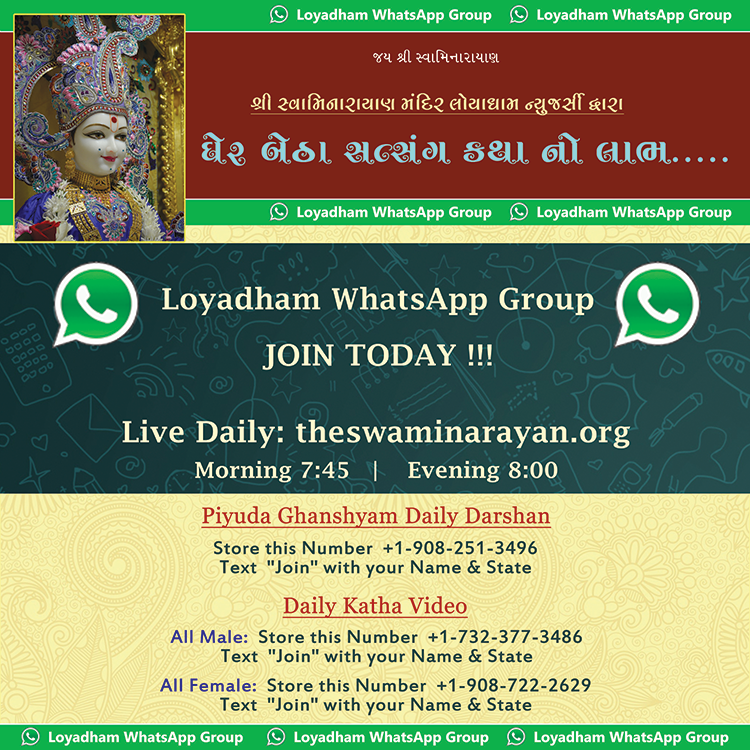 This website is very helpful, as we can have daily darshan of our Piyuda Maharaj and Pu.Guruji’s vicharan. It also provides us with upcoming events, so we are up to date about Loyadham activities. Watching/ listening to live katha is the most that I get out of this website, but it has many options that you can get out of it. I can never remember the days that ekadashi falls on, but having a calendar right here on the site is very convenient.